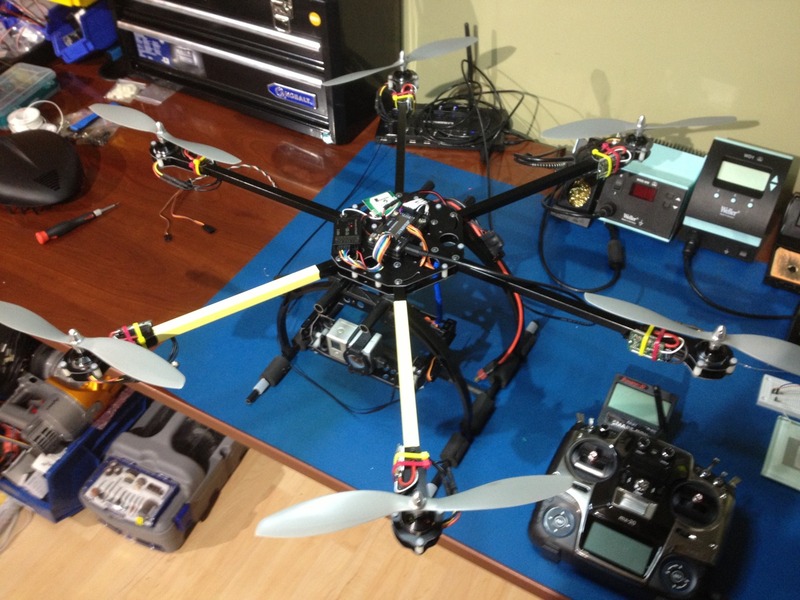 Project Hexa - Maiden Flight! 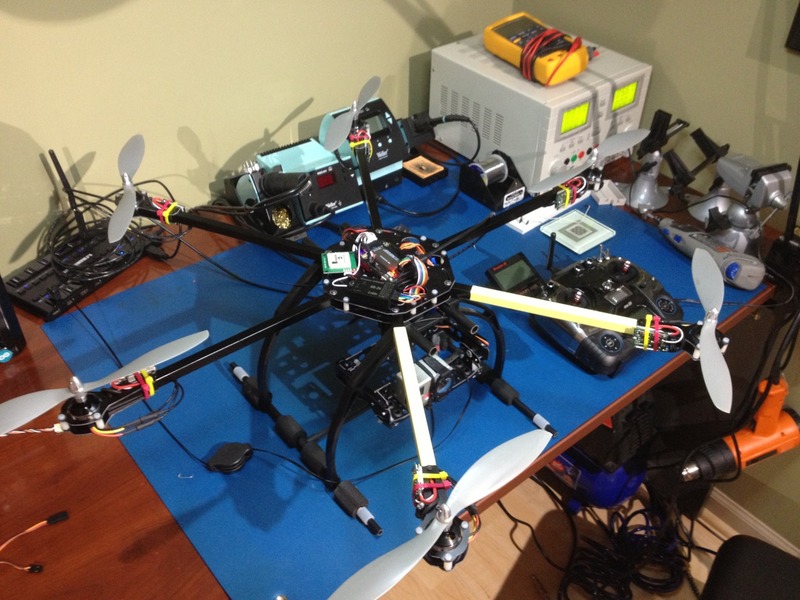 Finally got things assembled, and firmware built with the HOTT modules (no GPS support, still causes random disarming). Terrible first flight, to be expected, nothing has been tuned. But at least I now have a baseline.